The Watershed Game Recap: Seminar, First Play, and FMSEA! This past February, Nature’s Academy and the Environmental Protection Agency hosted the Watershed Game train-the-trainer event. 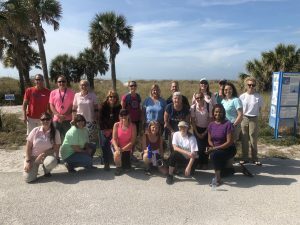 Our staff along with several organizations in the southeast are now facilitators capable of leading this hands-on watershed education tool for students of all ages. Both days’ attendees hung up their “teacher” hats and played the classroom version as students. While healthy watersheds rely on STEM, we discovered how watershed management is just as much a social problem! We negotiated, debated, and worked together to reach a clean water goal. The variety of subjects covered left attendees confident they could adapt the Watershed Game to fit their unique needs as teachers. Friday attendees also played the Local Leader version, designed for use with professionals such as community groups, commissioners, city planners, and land managers. This version was designed to bring people doing different work within the same watershed together, creating a common language to achieve a clean water goal. Each round of the game simulated real-world problems, from storm water flooding to funding opportunities. According to the end-of-day survey for both days, 83% of the participants indicated the use of the Game would help them meet education standards and outreach needs. As many as 79% said the program provided an effective opportunity to learn. Nature’s Academy staff put our new skills into action with our recent overnight programs. Groups played the classroom version of the Watershed Game, achieving their clean water goal and learning what it can take to successfully manage them. 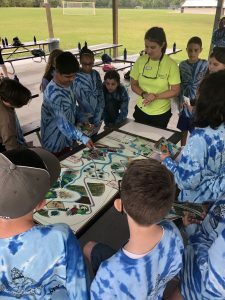 Gameplay paired with trips through the Springs Coast and Withlacoochee watersheds gave our students a complete hands-on experience with everything watershed. Visit our website to learn more about the exciting watershed experiences we offer! Did you miss out on the Watershed Game train-the-trainer event? 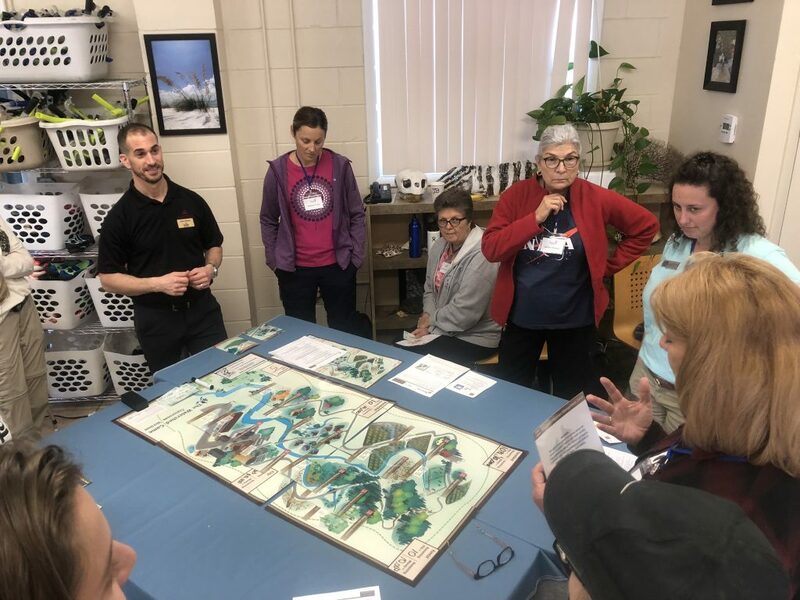 Nature’s Academy, in partnership with GCOOS, Texas A & M University, and Mote Marine Laboratory, will be hosting another opportunity to learn all things Watershed Game at the upcoming Florida Marine Science Educators Association (FMSEA) conference on May 4th, 2019. We hope to see you there!